June marks the end of a long season for professional basketball in the US—the National Basketball Association (NBA) playoff finals cap the end of a season that begins in October. American television broadcasts professional basketball games just as it does other major sports, and seeks to draw an audience for sports telecasts by dramatizing broadcasted games. To help draw audiences, many networks use dramatic theme music for the games. The death of Annette Funicello this month set off a wave of nostalgia among baby boomers who remember her as the star of the “Mouseketeers” of the original Mickey Mouse Club (MMC). MMC was the brainchild of Walt Disney, studio founder, entertainer, and entrepreneur, originally as a means of promoting the then new Disneyland, which opened in Anaheim, California on 17 July 1955. The New Year is a time of looking forward to the future and back to the past. Looking back, last year witnessed the death of Dave Brubeck, one of the all time great jazz musicians. Brubeck became famous through his live performances and his recordings, especially the seminal Time Out album released in 1958. But he also became famous through his many appearances on American and international television. Sports fans eagerly anticipate television broadcasts of their favorite sports, whether it is baseball, basketball, soccer, hockey, boxing, golf, auto racing, or any of the other events aired on the tube. In the USA, the biggest television sports event is undoubtedly (American) professional football: the National Football League. In 2011, NBC’s “Sunday Night Football” was the highest-rated program on American TV. Ask most TV viewers about what they think of political ads on TV, and they will say that they hate them. But political TV ads have been shown to be effective in validating voters’ leanings toward or against a particular candidate, or for sowing seeds of doubt about a particular candidate. Monday Night Football has been a staple of American television for over forty years. The first Monday night broadcast aired on the ABC network on 21 September 1970, with a game between the New York Jets and the Cleveland Browns. Ever since, Monday Night Football (MNF) broadcasts have rarely been topped in the Nielsen ratings. After a storied run on ABC, MNF moved to the popular sports cable network, ESPN, in 2006. This is my last blog on the music and TV broadcasts for the 2012 Olympic games — I promise. But I just saw a new video ad that I must share. In my last blog post, I noted the remarkable feat of the London Philharmonic Orchestra (LPO), who, under the baton of Philip Sheppard, recorded the national anthems of all 205 participating nations in the Olympic games in a little under 52 hours of studio time. The 2012 Olympic games concluded on Sunday with choreographer Kim Gavin’s musical extravaganza. As with Danny Boyle’s opening ceremony, Gavin was intent on impressing his vision of British music to the world. To underscore its significance, he titled the closing “A Symphony of British Music.” This title was a peculiar choice considering that classical historical musicology considers the “symphony” as a specific genre of classical music: a serious multi-movement work composed by a renowned composer, and performed by an orchestra. Television networks use music to connect audience and program through theme music and short video spots called “promos. 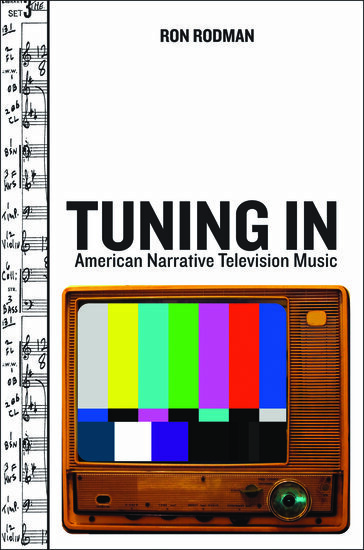 Themes and promos carry what media musicologist Philip Tagg calls “appellative functions”, which summon viewers to the television screen. With an event as big as the Olympics, television networks need to attract as large an audience as possible to maximize commercial ad revenue.